As you may have seen in our last news update, on 29th May we took delivery of Panavia Tornado GR1 ZA399. All aircraft have a history from the moment they roll off the production line but this one has a particularly interesting past and we’re pleased to have preserved that heritage. When rolled off the line at Warton in 1982 she was the 66th Tornado Gr1 out of 228 RAF GR1s built. In service she spent several years with the RAF over in Germany before the hitting the bigtime and being sent over to Bahrain for Desert Storm in 1991. Like the other UK GR1s she wore a fetching desert pink scheme and picked up some garish “Hello Kuwait Goodbye Iraq” and nose art along with the nickname name “Zimmer Woman” and tail letter G for “Granny”. We know she carried out 15 strike missions but exactly what they were we don’t know, that information is not available to us. As an overview though, RAF Tornados were very much at the pointy end of things and generally carried out low level work at the start of the campaign using both 1000lb unguided bombs and the infamous JP233 runway denial weapon. You must remember the JP233, it’s the one you gawped at in pictures of the Tonka in your Take Off magazine as a kid, pinging out loads of little bomblets at ultra low-level. 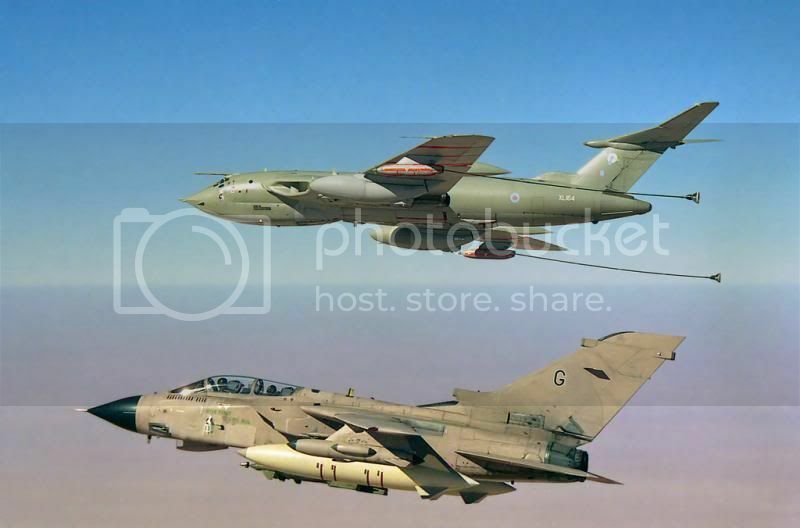 Anyway, later on in the war the Tornados operated higher and smarter using guided munitions which helped lift them out of some of the threat zone although RAF Buccaneers still had to designate the target for them with their laser equipment. We have spent a formidable number of hours rebuilding and restoring ZA399 to museum standard. As you can see the cockpit is very complete with seat and instruments and even has the HUD in place. Go on, I know you want to put that throttle through the gate. We even managed to have a little photoshoot with our F3 and a Provost lined alongside her, our very own strike ‘package’! You won’t see something like this again anytime soon. ZA399’s flying days came to an end in 2001 and she spent a few years in storage at St Athan in Glamorgan before being taken by road to Cosford in 2006 for use in training. Now the Restoration is complete we are elated with the end result and think we’ve done a good job bringing her back to tip top condition and the timing couldn’t be better as this year is the 70th anniversary of the Dams raid.